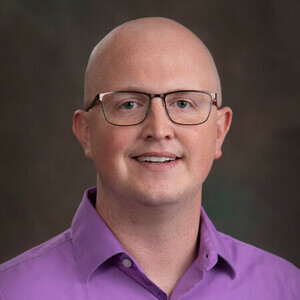 I'm currently an assistant professor of mathematics and the mathematics program coordinator at Kentucky Wesleyan Collge in Owensboro, Kentucky. I received my PhD in Applied Mathematics from the University of Alabama at Birmingham in August 2015. My graduate work was done under the supervision of Günter Stolz. My research interests include mathematical physics and spectral theory. My dissertation, Spectral Properties and Localization of Two Random Laplacians on Graphs, explored the spectral properties, specifically the existence of spectral and dynamical localization, of two random models of disordered quantum systems, namely the Random Edge Laplacian and the Random Mass Laplacian. My research page contains a brief introduction to the Random Edge Laplacian. In addition to mathematical research, I also enjoy teaching mathematics. When classes are in session, my Facebook and Twitter pages feature "Math Joke Monday" posts. My approach to teaching incorporates humor and common, descriptive language into a rigorous treatment of mathematics. I particularly enjoy engaging students who have previously decided that they "don't get" math.